A classic money clip is a handsome men's fashion accessory and is a modern essential for keeping your bills and credit cards organized and secure, without carrying a bulky wallet! 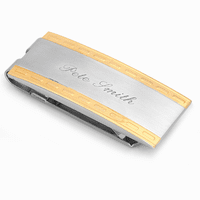 This Colorado style money clip features a two-textured finish, with a highly-polished base and a raised satin finish center area for personalized engraving. 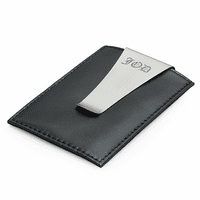 The spring-loaded mechanism holds 20 to 25 folded bills and a few credit cards, locking them in securely until you need them! 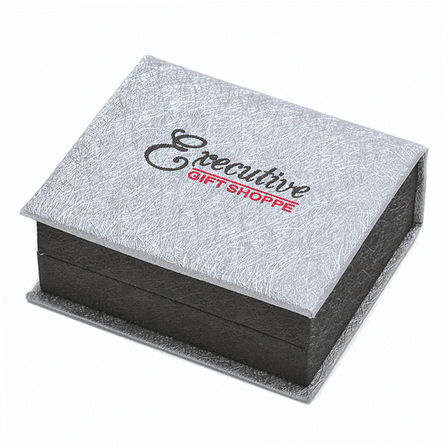 The money clip is packaged in a gift box, and ships in one business day. Dimensions: 1 7/8" x 13/16"
The item came very quickly and is exactly what he was looking for. 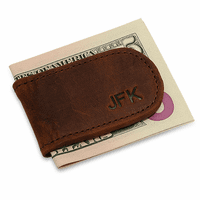 Money easily slips out of the clip. Merchant Response:We're so sorry about that. 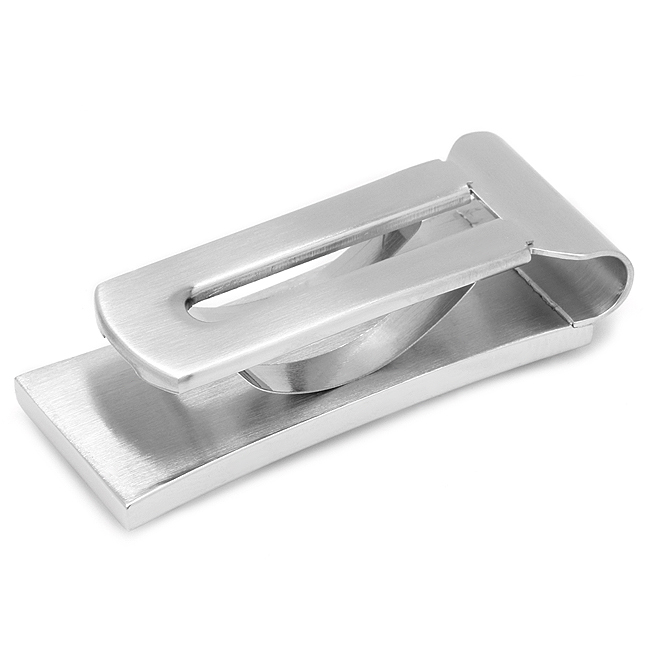 The spring may be defective on the money clip you received. 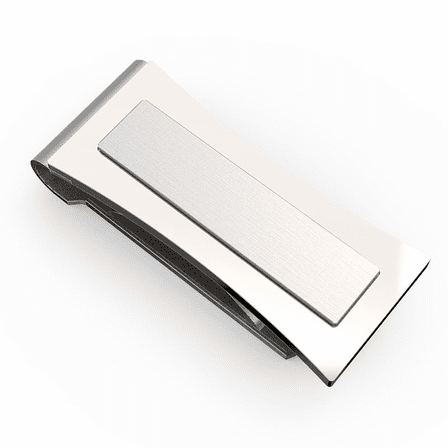 The spring loaded grips are designed to have a little more give but your money should not slip out. Please email us at help@executivegiftshoppe.com and we can figure out whether to send a replacement for the one you have or maybe try a tighter grip money clip, like a french fold.